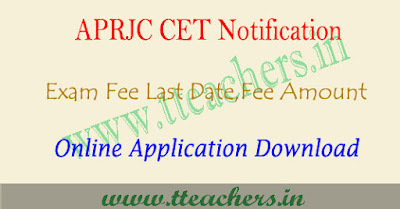 APRJC 2019 online application form, aprjc apply online 2019 : The Andhra Pradesh Residential Educational Institutional Society will be conducted by the APRJC CET 2018 for admissions into the intermediate 1st year courses offered by the residential junior colleges in the AP. APRJC is scheduled to be held tentatively on May 2018. Registrations will be available from Apr 2018. APRJC 2018 is the gateway to offer admissions to applicants in inter courses at the best residential colleges of Andhra Pradesh. The applicants who are interested in APRJC 2018 can apply for the examination before last date of application. 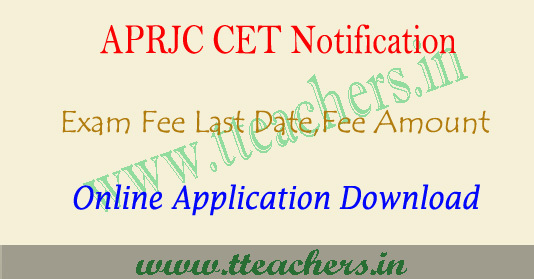 Latest Updates : APREIS officials will be released aprjc notification 2018 in the month of March 2018 and also published APRJC application form 2018 through website. It is available on aprs.cgg.gov.in. Our team will provide direct link related to aprjc 2018 application here after official announcement. Candidates can get the APRJC application form 2018 only via online mode. APRJC application form available from April 2018. The last date to submit the online application will be April 2018. Candidates are advised to take the printout of the confirmation page and keep it safe for future use. There is no need to send the confirmation page to the authority. ii. The candidate after satisfying himself/herself about the eligibility criteria for the submission of application through online shall pay a fee of Rs.150.00 through online for submission of application through Online. iii. Through Online, the candidate has to give the required preliminary data (i.e. Name of the candidate, Date of birth and mobile phone number). iv. On payment of fee at ONLINE, the candidate shall be issued a Journal Number’ with which she/he can proceed with submission of application through online through the website aprs.cgg.gov.in. Issue of Journal Number does not mean that the candidate has completed submission of application online. It is only a confirmation of the fee received. vi. The candidates shall follow the procedure for submission of online application as given in the‘Information Bulletin’ and also as per the instructions provided online while filling up the online application form. The Candidate should be ready with photograph of size 3.5 X 4.5 cms before filling in on-line application. The Photo should be scanned and uploaded along with the application form. vii. While filling the on line application, the candidate has to opt the course. Once a course is opted, that cannot be changed. viii. On submission of Application ONLINE, the candidate has to take a copy(print) of application form in which a reference number also be given. This Reference number is required to download the Hall Ticket. The copy of online application is to be preserved for further reference. ix. For any mistakes/incorrect information, the candidate is solely held responsible. Hence, they must take utmost care while filling the online application. xi. The selected Candidate should be able to produce the original certificates at the time of admission as a proof to the information furnished in the application.